In brief: Unless you’ve been living under a rock, you’ll probably know that Red Dead Redemption 2 has finally arrived. With it comes a slew of incredibly positive reviews, some of which call it one of the best games of all time. But the success has been marred by reports of ‘crunch culture’ at Rockstar. It’s something the company is said to have now addressed, but rival firm Ubisoft still pointed out that massive crunch wasn’t a requirement with Assassin’s Creed Odyssey. In an interview with Gamasutra, Ubisoft Quebec managing director Patrick Klaus says that despite the huge size and scope of Odyssey, the company never made its staff work mandatory overtime. 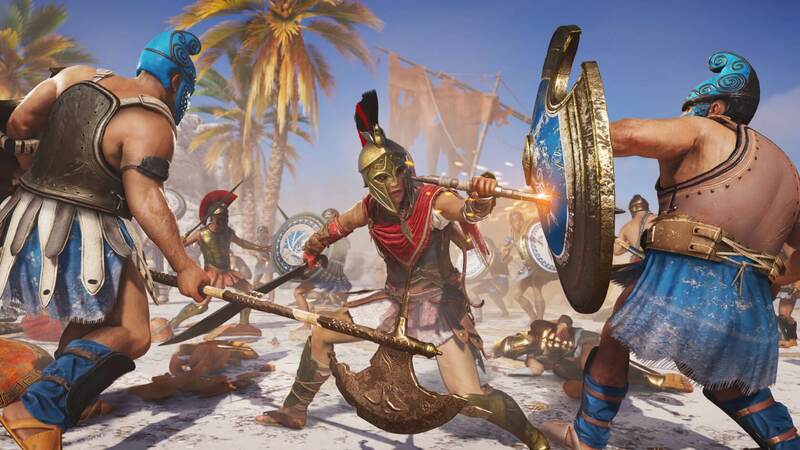 "While we can always do better, I can tell you hand on heart that [Assassin's Creed Odyssey] hasn't required a massive crunch, like maybe some of the triple-As from five or ten years ago," said Klaus. "We can still always do better, but we have managed pretty well to succeed in delivering a game of huge magnitude which is hitting a good quality [level], while making sure that our teams are not burnt out and disgusted with working in games." Rockstar came under fire after company co-founder Dan Houser made a remark about staff at the studio working 100-hour weeks. He later explained that it was a reference to a three-week time frame involving himself and senior RDR2 writers, but some current and former employees said they often worked well over 50- and 60-hour weeks. Rockstar has now said that overtime at its UK Q&A studio is now optional, but the PR damage had already been done, which is perhaps why Ubisoft took the opportunity to reveal it doesn’t embrace crunch culture—at least not anymore. Ubisoft’s executives said there were times when devs did put in extra hours over Odyssey’s three-year development, but doing so was a team decision and those that did overtime were encouraged to slow down once it was over. "They have a brilliant idea, they want to implement it, so they'll push for a couple of weeks and then rest a little bit," said Côté. While working an excessive number of hours is associated with many professions, video game development has long been considered one of the worst. It’s unlikely that many gamers would refuse to buy a title because of its maker’s reputation for overworking its staff, but the bad publicity and the fact it could discourage people from entering the game industry mean more studios are addressing the problem.